– The RSPO is not a mechanism to halt the massive expansion of monoculture oil palm plantations and the ever-increasing demand for palm oil to meet excessive consumption, including for agrofuels. Also REDD is not a mechanism to solve the impacts of climate change. 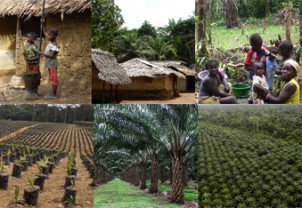 – Our appeal to our governments to halt and control the expansion of large-scale monocultures, and to support community- based, including traditional, economic activities. – Our commitment to use all non-violent means necessary so that community rights are respected.